Dream Pod 9: War for Terra Nova - Starter Set - Kickstarter is Now Live! We don't want to stop there, a Core Starter Set is also available, with stretch goals that will unlock new models and add move plastic miniatures to the Core Starter Set. Our desired goal is a Core Starter Set of 46 miniatures and color quick start rulebook, which will be accomplished by reaching the 13th stretch goal of $105K CAD. This would allow for a variety of eighteen different models from 4 factions in a Core Starter Set for two players, with a multiplayer option of up to four players. All models from the Starter Set and unlocked models will also be available at a special price for this Kickstarter to all backers as add-ons rewards for their pledges. Additional Basic Starter and Core Starter Sets are also available as add-on rewards, if you want an extra set or two for yourself or a friend. We even have a Basic Starter Set pledge level for retailers, to encourage their support as well. Plus, we’ll also be adding some more pledge levels for Faction Army Sets once enough of the models for a faction are unlocked and a new retail pledge level once stretch goal 13 is reached. We need your support to make this happen, please help us get the word out, by sharing this news and this link to the Kickstarter with friends and on social media. Dream Pod 9 thanks everyone for their support. 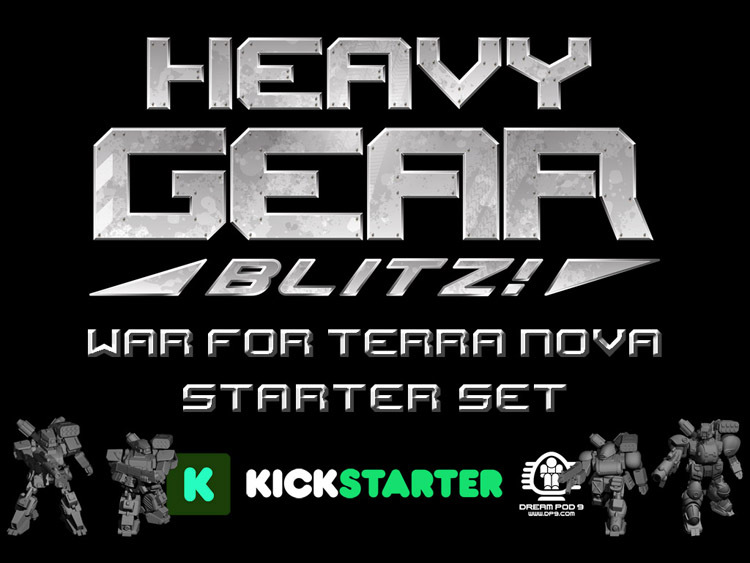 Home › Blogs › Robert Dubois's blog › War for Terra Nova - Starter Set - Kickstarter is Now Live!